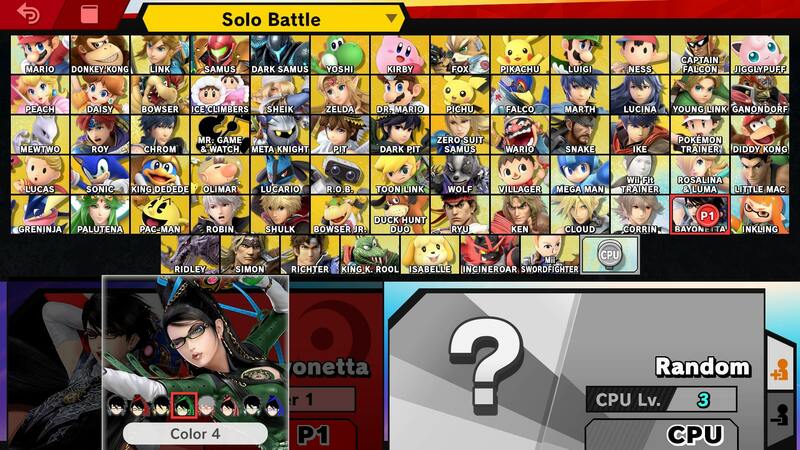 Bayonetta is back for Smash Bros Ultimate. She’s still a flashy fighter, but has gone through a number of changes since her last appearance. And to celebrate the fact that there are 74 playable characters in Super Smash Bros Ultimate, we’re building character guides for all of them. In this Super Smash Bros Ultimate Bayonetta Guide, we’ll be highlighting all of the changes that have been made since SSB4. We’ll also take a look at her Final Smash and the Alternate Costumes that can be chosen at the character select screen. One of the typically “overpowered” fighters in Super Smash Bros. Ultimate is Bayonetta. In the table below, you can find a complete list of all the moves that this fighter can use. Several animations have been altered including jumpsquat, taunts, Grabs, and dash. New sound effects have been added. Bayonetta has some pretty awesome Alternate Costumes this time around. There are variants of her default design in orange, red/white hair. There is also the model used for Bayonetta 1, in black, green, orange and blue. Bayonetta uses the same Final Smash as in SSB4. It’s Infernal Climax and sees Bayonetta summons the demon Gamorrah. It’s an awesome move, which you can see in the video embedded above. 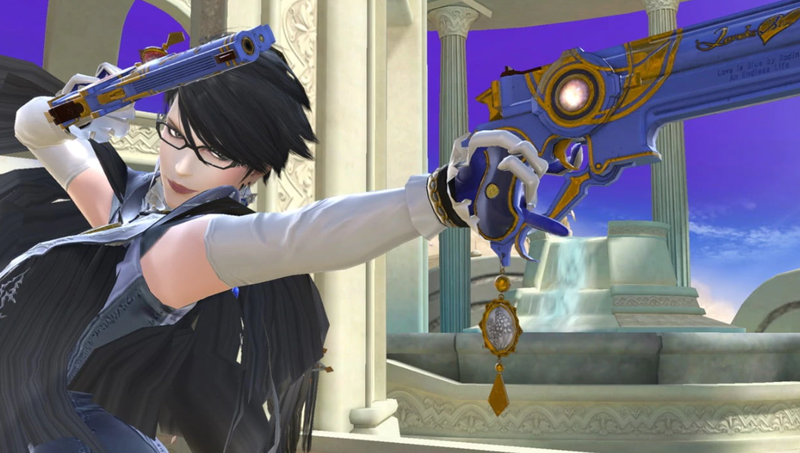 That’s everything we know about Bayonetta in Super Smash Bros. Ultimate. We’ll be updating this guide and other character guides as we get more info, so be sure to check back in regularly. For more on the game, head over to our Super Smash Bros Ultimate Guides hub. It’s got stages, trailers, details on amiibo, and more.